Even young kids can learn the value of work. Here are a few ways young elementary school-age kids can make money. It was 4:40 PM on a Sunday afternoon as we pulled into our driveway after a long day in the city. The light was dim and the temperature hovered around 36 degrees. “Right now?” I asked, bewildered. I pointed out the obvious – that she was unlikely to get many customers at this time of day and in this weather – but she didn’t care. Instead, she headed to the fridge and discovered we didn’t have any lemons but did have 6 limes. Still determined, she got my husband to help her slice the limes, juice them, add sugar and water to a pitcher, and get her set up outside. She sat there for about an hour, commissioned her older sister to make signs which were hung around our yard, and in the end, my daughter had three customers – two dog walkers and a 3-year-old who was visiting her grandparents across the street. In her mind, it was a success, and that’s all that mattered. My daughter’s entrepreneurial spirit took me by surprise that day, but I loved seeing her enthusiasm in wanting to set up a small business. And letting kids experience the creativity and excitement of earning money through work can teach life lessons that can’t be taught in a classroom. 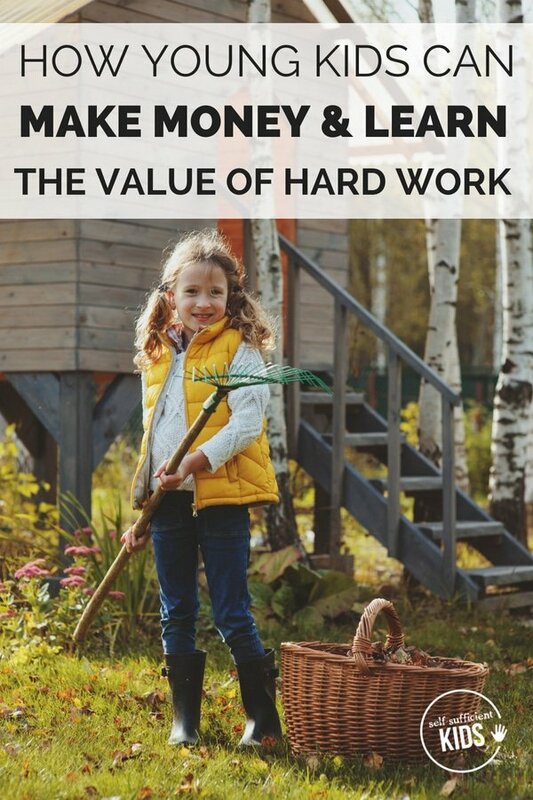 Even though young elementary-age kids aren’t legally able to get real jobs, there are a number of ways young kids can learn the value of earning money through work. But before getting into the type of work young kids can do to make money, let’s address one issue: whether or not kids should be paid for chores and what’s the difference between working for money and daily chores. Most experts agree that if kids are paid by their parents to do work around the house, this work should be in addition to their daily chores. The thinking is that while working for money can teach kids a number of skills, children also need to realize that there are certain tasks in life that are not paid for. For example, adults aren’t paid to clean the toilet or empty a dishwasher. These are just tasks that need to be taken care of to maintain a home. If children are taught that they get money for doing these basic tasks, it can erode their innate tendency to help others, according to this article in the Atlantic. At some point, kids may also decide that the money they get paid for chores isn’t worth the daily effort. 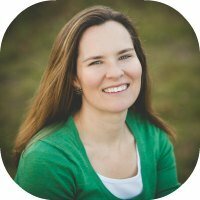 So how can families differentiate between chores and work-for-hire tasks? That’s up to each family to decide, but in general, you can use the rule of thumb that if you could hire someone outside of the family to do the task then that’s a work-for-hire task (with the exception of a housekeeper). 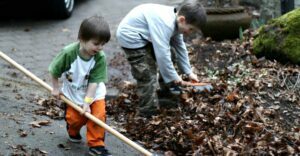 Rake leaves: Some families might consider raking leaves a family chore, but for others, it’s a task that can be outsourced. Young kids can help with this task and be paid for their effort. Depending on the yard size, parents might still need to get involved in completing the task. Pull Weeds: No one likes to pull weeds, but kids might, especially if they get paid. Shovel snow: Similar to raking leaves, shoveling snow might be considered a family chore in some households. If you hire a snow plow to clear your driveway, you could have your kids shovel the walkway or front steps for pay. Wash car: Young kids could easily help wash a car – at least the bottom half, depending on how tall your kids are. Consign Toys: Kids outgrow their toys after a few years and move onto something else. A great way to help clear out the playroom is to let kids consign their own toys. Not only is it teaching kids to be frugal but also introducing them to the concept of reduce, reuse, recycle. Recycle: If you live in a state with a bottle deposit law, your kids can collect cans and/or glass bottles and cash them in for 5 or 10 cents each. Etsy: If kids have a nack for crafts – knitting hats, designing beaded bracelets or decorating barrettes, just to name a few, they can sell their goods on Etsy. For legal reasons, adults need to set up and manage the page of anyone age 18 or younger. Read Etsy’s policy here. Animal Sitting: Kids can let neighbors know they are willing to take care of pets if there is a need – by feeding, walking or otherwise taking care of the animal’s needs. Lemonade Stand: The traditional lemonade stand is a time-honored method for kids to make money. While setting up a stand in your neighborhood might be easy, getting a table at a farmers market could be more lucrative. Read how Jack Bonneau began a chain of lemonade stands in the Boulder, Colorado area in this New York Times article. Puppet Show: If your kid is a natural entertainer, he or she could make money by inviting neighborhood kids to a puppet show and charge admission. Weeding: In early spring, neighbors may want help weeding their gardens. No one likes to weed and neighbors would likely be happy for the chance to pay a small fee to get this chore done. Offer to weed people’s yards, flowerbeds, gardens and other weeds from their lawns. Farmers Markets: Some local farmers markets let kids set up tables – the sky’s the limit here – kids can sell their crafts, baked goods, artwork, stationery, etc. Just be sure to look into the requirements and possible expense of setting up a booth first. Have any other ideas about how young kids can make money? Share them in the comments below!